The Oriental Wall Lamp by Dutch inspired by their extraordinary appearance. Torch Similarly shaped and made of the finest silver metal, completed a punched hole pattern by hand the work. The light sparkles like little diamonds glistening through the little hole in the room. 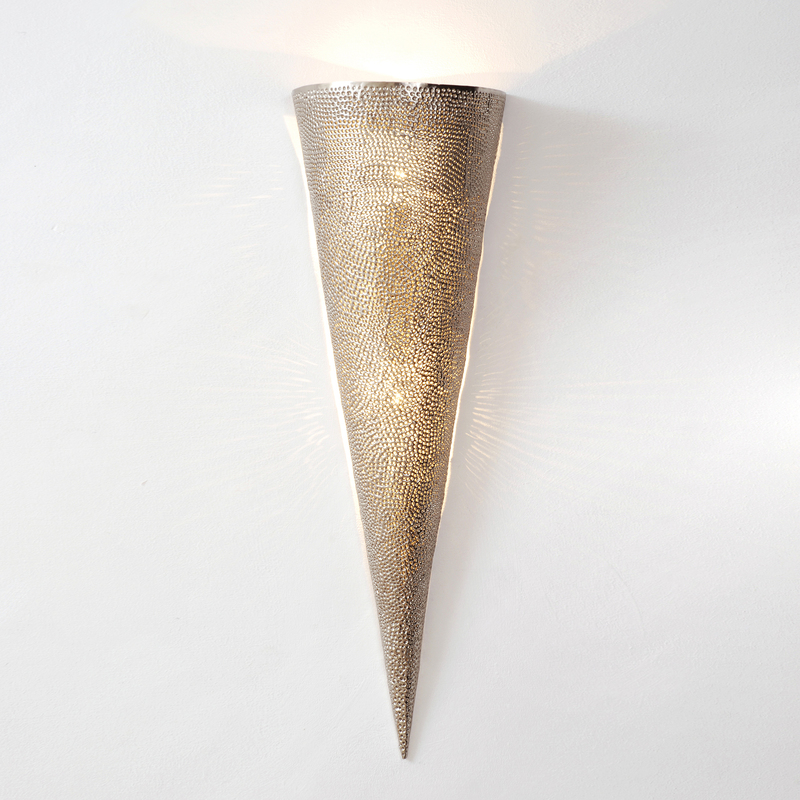 Follow the magic and slip you into the world of Oriental wall lamp by Dutch!